Thank you for visiting Recipe This and we are totally honoured that you have come to check out our piece of internet real estate. We have put this page together for you so that as a new visitor you can quickly get what you need. We have a twice weekly newsletter where we love to share with our readers more about us, our favourite recipes, our funny cookery stories and amazing deals off our regular ebook prices. We are regulars on Pinterest, Twitter & Facebook and we would love to see you over there. We also have a Facebook Group that is perfect if you want to be part of our brand new community. We also have a Facebook community that is perfect for meeting other fans of RecipeThis.com and kitchen gadgets. With lots of air fryer, instant pot and slow cooker recipes, it is a group worth joining! We have a growing ebook collection of our best recipes, never seen before recipes, foodie tips and so much more. Click on the banner below for the full collection. 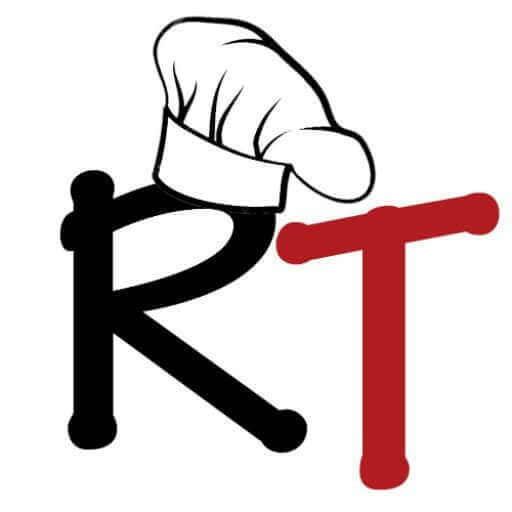 We have been running RecipeThis.com since November 2015 and love writing, creating new recipes and eating. You can access our latest posts here. We were raised in Northern England and now live in Portugal. This means that recipes are often created with a British vibe and will often have UK/EU measurements, UK temperatures and often use British terminology. We do try our best to cater for everyone, but it is hard to do this when you have a worldwide audience. We have readers from the US, the UK, Canada, Australia, South Africa, Ireland, Germany and many other places too. Also, because some ingredients are called different things from different parts of the world we link to them when possible on Amazon. Because all the countries we have traffic from have an Amazon, it gives everyone the chance to source the ingredients we use in our recipes. Step 5 – Do You Have Our Gadgets? We often talk about our favourite kitchen gadgets. The ones we can’t live without in our kitchen. Here is the lowdown of our top 10 kitchen gadgets that if we were broke, we would just own these and these only. Recently updated to reflect our 2+ years cooking with kitchen gadgets and to reflect kitchen gadgets that we can’t last more than 2 days without using. These are perfect for adding to your Amazon Wish List and to get them as you can afford them. Or if you’re getting married these are a must have for your wedding gift list. We have a huge marketplace on our blog that lists every product or service we have ever featured on RecipeThis.com. It is a really interesting category and we would love you to have a look and see what you have and tell us about it. Carrying on from what I was saying about RecipeThis we also have a shop on Amazon. It’s a page with all the products we mention the most on our blog. It covers the main kitchen gadgets we own, the kitchen gadget accessories along with all of our ebooks. We recommend that you have a look round and see if you are missing anything that we own. If you want to be kept in the loop at Recipe This then we suggest that you subscribe to our blog. You can do this by subscribing to our blog on social media. We are on Twitter, Facebook & Pinterest the most. As well as this you can also join our weekly newsletter. With our newsletter we share our foodie stories (including our recipe disasters), how we learnt to cook, our favourite recipes, more about our kitchen gadgets as well as sharing with you our latest recipes. Step 9 – Are You A Food Blogger? Like us, are you a food blogger or want to be a food blogger? Then you’re in for a treat. We have lots to keep you busy. Pin it for later and then you can keep it for whenever we don’t have a recipe in imperial. Though we are slowly (it’s a long process) converting all our recipes to the US measurements for our American readers. Thanks again and welcome to RecipeThis.com we love each and every one of you.